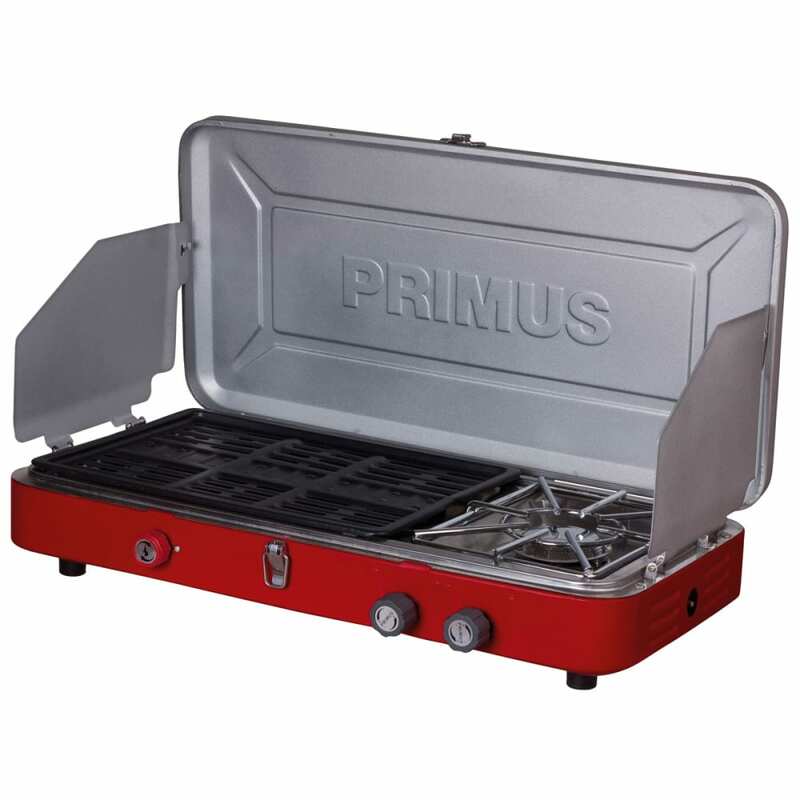 This stove is the perfect camper grill with one 12,000 BTU burner and BBQ grill burner w/stainless steel drip tray. Removable non-stick coated grill for easy clean up. Size: 23.2" x 4.7" x 12.6"